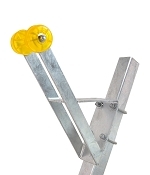 This is a Galvanized Winch Post Stand for Boat Trailers with 2 inch Wide Trailer Tongues. 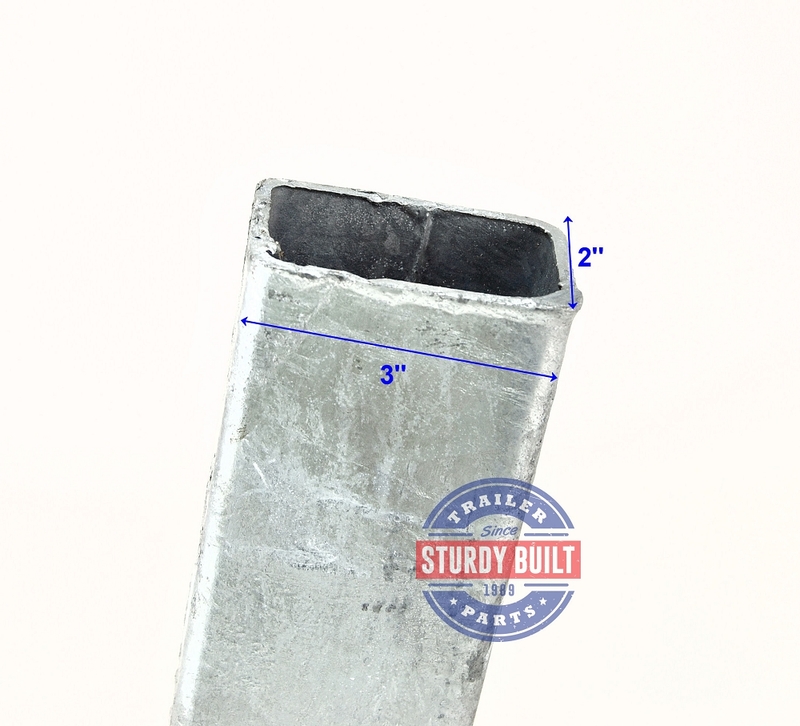 This means that the mounting holes in the base of this winch post are drilled 2 inches apart. 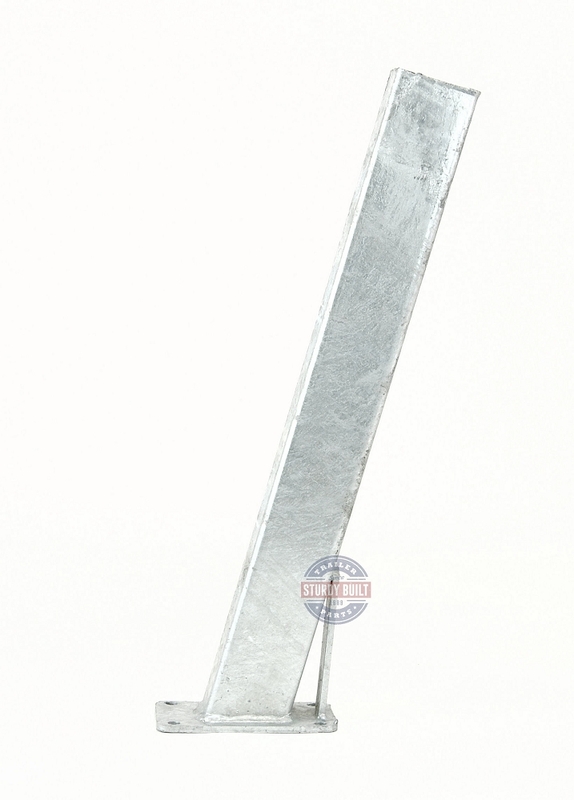 This particular model is made with 2 x 3 galvanized 11 gauge steel. The base and support are welded to the tubing to create a strong finished winch post stand. This is the 24 inch Model. To view exact dimensions to help you select the correct winch stand, take a look at the pictures of this product above, you will see detailed measurements drawn on the image for reference. 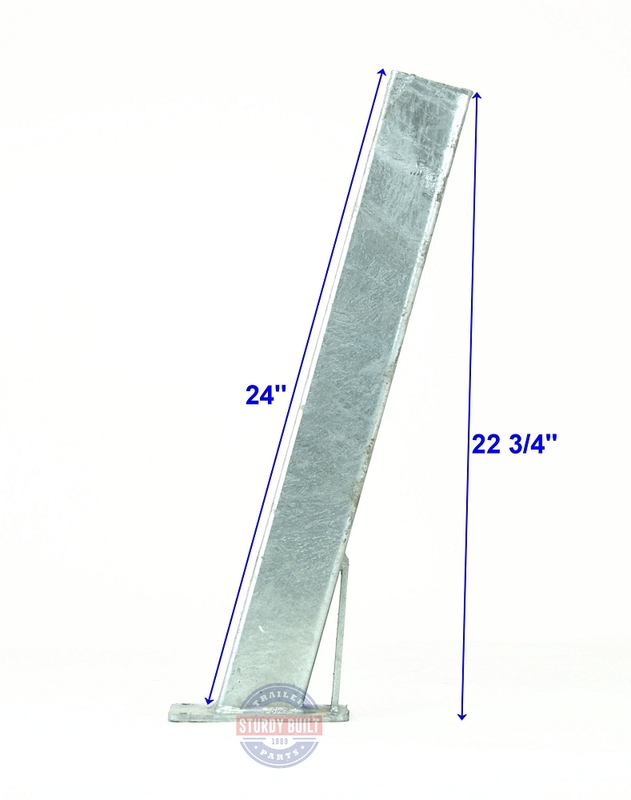 The main beam of this stand measures 24 inches. You can use the measurement photos to match this up. 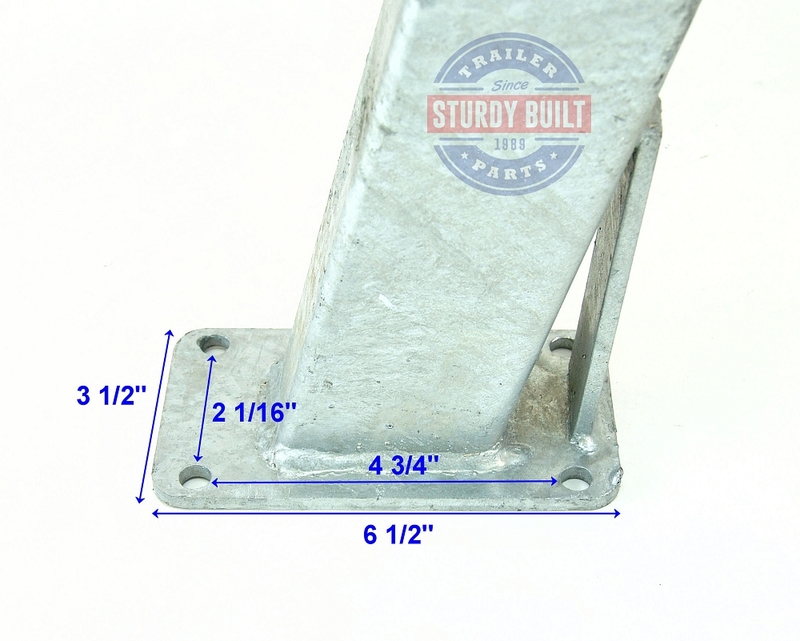 You will mount this stand to your trailer tongue using the correct 3/8" diameter U Bolt that is 2 inches ( 2 1/16") Wide. The Length of the U Bolt used depends upon the height of your trailer tongue. Most 2 inch wide trailer tongues are 3 inches tall, this would be very standard. If that is the case, you would need Galvanized Square Trailer U-Bolt 3/8 inch x 2 inch x 4 3/8 inch. Most Winch Post Assemblies are made up of two pieces, a post, and a support. 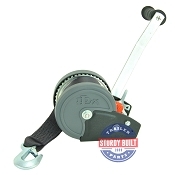 They will U bolt together to create a mounting service for your trailers winch. The easiest way to select a Winch Post is of course to get an exact replacements. This particular one is most commonly used on Continental Boat Trailers. However, in many cases an exact replacement is not available, maybe the company is out of business, or the product has been discontinued. If this is the case, try and compare measurements to find the closest replacement available. To Mount a Winch Support to this post, the support would need to be able to have mounting holes positioned to mount to a 2 inch Wide Winch Post, which is what this listing is for. So verify the hole spaces on the Winch Support, to make sure it will mount to a 2 inch wide post.